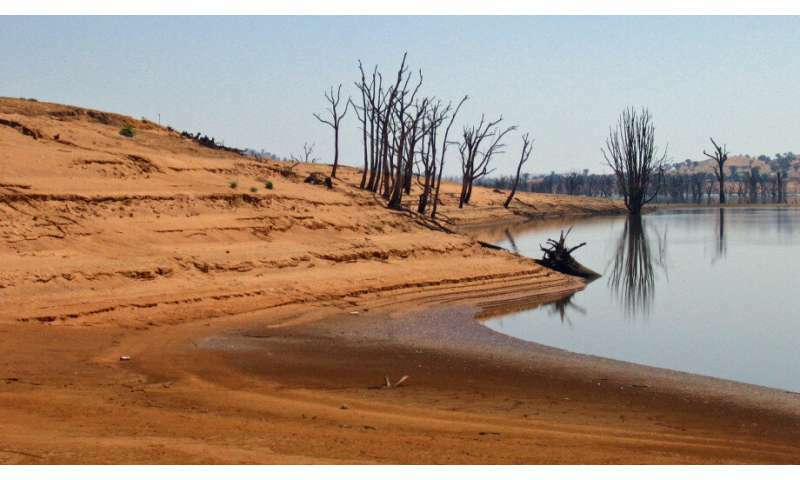 The Australian Government estimates $3.5 billion in subsidised on- and off-farm water infrastructure has achieved some 700 gigalitres per year increases to stream and river flows across the Murray-Darling Basin. A gigalitre (GL) equals a billion litres. Based on a calculation from a range of estimates, the ANU study found the subsidised water infrastructure may have only delivered 70 GL/year increases to stream and river flows—630 GL/year less than the Government's estimate. Professor John Williams, one of the researchers, said 630 GL is more water than is in Sydney Harbour. "Simply put, without independent and comprehensive water accounting, including what is happening to return flows and the effects of multi-billion dollar subsidies for irrigation infrastructure on stream flows, expect more fish kills, a continuing environmental crisis, and no peace in the Murray-Darling Basin," said Professor Williams from the Centre for Water Economics, Environment & Policy at ANU. "The Government should halt any further subsidies until their water accounting adds up properly. "These subsidies should not resume until it can be scientifically determined by how much they increase net stream and river flows, if at all, and at what cost. This requires comprehensive water accounting that was promised in 2004 by Australian governments, that still hasn't been delivered. "Our study has undergone a comprehensive peer-review process and our findings marry up very well with those in the recent Royal Commission report and the Australian Academy of Science report—we are all singing from the same songbook." Co-researcher Professor Quentin Grafton said their analysis showed the average cost of water recovery for infrastructure subsidies could be as much as $50 million per GL returned to the Murray-Darling Basin every year. "We calculate that the actual average cost of increasing stream and river flows from subsidies to increase irrigation efficiency infrastructure in the Murray-Darling Basin could be 10 times more expensive than what is estimated by the Australian Government and 25 times more expensive per litre of water recovered than buying back water entitlements from willing sellers," Professor Grafton said. "There is too much uncertainty about the actual effect on return flows from increases in irrigation efficiency in the Murray-Darling Basin," Professor Grafton said. "We acknowledge that there is uncertainty in our own estimates as well, but it only strengthens the case for the long-promised, but never delivered, comprehensive water accounting system to be set up for the Murray-Darling Basin. "When there is published evidence in peer-reviewed scientific journals of deterioration of key aspects of the ecology in the Basin, ongoing failures of water reform, and misguided policies that are not increasing stream flows, the Australian Government needs to sit up and pay attention and actually deliver what was promised in the Basin Plan. "There is an urgent need, especially given the drought and the mismanagement of water demonstrated by the Menindee fish kill, to have a much better understanding of where water is, how it is being used, and how we can best recover water to ensure the long-term sustainability of communities, agriculture and the environment in the Basin. Without it, we are flying blind and will not deliver on the key objects of the Water Act." The peer-review study is published in Australasian Journal of Water Resources.